Creative Gifts To Go began as a small local gift basket business in Flagstaff, Arizona in 1992. It has slowly expanded and grown into a nationwide corporate and personal gifting service. Our customer list includes large and small companies throughout the United States. Creative Gifts To Go has received many awards through the years but that isn't nearly as important to us as our reputation for ethical, honest customer service to our customers. It has been said to be careful of what you dream as it may come true. Way back in 1992, when Creative Gifts to Go became a reality, my dreams soared. Even though we were a small local gift basket business, we purposely left the words “gift basket” out of the name because we dreamed of becoming much more. The nest was empty, Ron had retired at age 50, and suddenly I had time to do anything I wanted to do. Looking around me, I thought about what I could do that would help me avoid the pitfalls of boredom and stagnation that so many in mid life fall into. Even while raising two daughters as we moved from one California Forest Service station to another, I had never been one to stand on the sidelines of life. 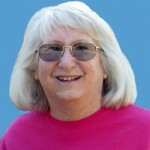 In Yreka, I served on the City Council, Planning Commission, and School Board. Glider lessons in Willows, teaching 4-H projects in Springville, and accomplishing the skills of becoming a professional writer rounded out those years. Business skills were quickly learned as Ron and I started, grew, and later sold Arizona Singles – a statewide newspaper. As a volunteer small business counselor with SCORE, I had helped others start and grow their businesses. I knew that I wanted to do something more than travel or lunch with the girls. I had enjoyed the challenges and rewards of operating my own business and had seen the difference that Arizona Singles had made in people’s lives. Finding a business that put a smile on people’s faces and a spark in their hearts became my goal. One day I read the quote “Life is not measured by the number of breaths we take but by the moments that take our breath away” and thought what better way to create happiness than to knock on someone’s door with a gift designed to take their breath away? The seed for Creative Gifts to Go was planted. I confess. I knew nothing about gift baskets - couldn’t even tie a decent bow. I did know how to operate a business, however, and had already discovered that you can learn just about anything that is important to you. My first baskets were rather simple but people seemed to like them and I was encouraged. Attending classes, taught by the gift basket gurus of the time, and reading voraciously helped me fill in the details. Fast forward twenty-five plus years. I can honestly say that I can make a basket now that will take someone's breath away. 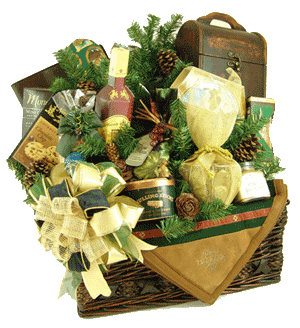 The business has grown to the point that it is no longer just a local gift basket company. It has expanded into a national gift service with products and customers from all over the world. A lot of our gifts are shipped now and I’m not able to knock on everyone’s door. Morning begins early many times with calls from China, Australia, or New York. People are usually surprised when the owner answers the phone but I like to keep my pulse on the most important ingredient of the business – the people who send and receive our gifts. And, yes, I still knock on some of those doors and love seeing the surprise that lights up someone's face as they respond, "Wow, that's for me?" I operate most of the business while Ron is the “wind beneath my wings”. Without his support and help on those days when I feel overwhelmed, it would have never been possible. I’m probably not the typical grandma but my grand kids love coming over to “help make gift baskets” and when they need something special for school, they check with me first. I try not to forget to pass on the encouragement and help that I received in the early years of my business. As the publisher/editor of Gift Basket Business Insider (a worldwide digital magazine and forum for the industry) and the owner of GiftBasketNetwork and GiftBusinessOwners, I try to share some of the things I have learned through the years. Some companies create long detailed mission statements. But, I knew from the beginning that a lot of words wasn’t what my business would be about. Even though the company has expanded and grown into much more than I had dreamed, I still prefer to keep it simple. Our mission is to make people happy. Nothing more. Nothing less. Old-fashioned Perhaps. But that’s who I am and that’s what Creative Gifts to Go is all about.